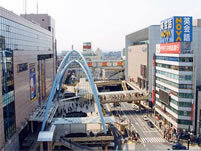 Tachikawa city is developing as one of the central cities in the Tama area in Tokyo. 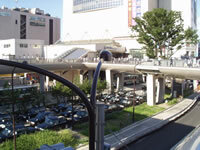 The Chuo Line, The Nambu Line, and The Ome Line will be available at Tachikawa station; Tama Intercity Monorail will be available at Tachikawa-Kita station and Tachikawa-Minami station. The festival is held in August, and the purpose of the event is to interchange information between citizens of Tachikawa; the concept behind the event is to convey cultural properties in a new way with sound and light. The event includes the following: performances by children's brass bands, dance, folk songs, Japanese traditional drum perfomance, and parades. The event is held in July.